If you are prone to migraines you may already know what causes them, but it isn’t always as easy to identify as you may think. There are so many theories about what causes migraine, but food often is linked to an attack. But is it really? It’s often thought of as a trigger, but studies show chocolate probably doesn’t cause migraines and may help prevent them. It might be that people crave chocolate just before getting a migraine, and that’s what gives it a bad reputation. This can be both good and bad. An occasional cup, once or twice a week, may help prevent migraines. But if you have a daily caffeine habit, it may not be as helpful. In fact, skipping your morning coffee could become a trigger. This staple of so much Asian cooking bestows a certain savory flavour and many people do report feeling side effects if they get too much of it. Some people blame it for their migraines, but studies generally say it isn’t a culprit. f you like your beer straight from the pump then generally that has about 25 times the migraine-inducing tyramine as beer in bottles. Try switching to bottled beer or low alcohol for a change and see if it helps. This is widely thought to be a trigger, but an Italian study involving more than 300 people found no connection between migraines and red wine. So it may not be the wine, unless you drink the whole bottle and then a headache might be the least of your problems. Do you like strong tasting Cheddar or an almost liquid aged brie? Unfortunately both are likely to have high levels of tyramine, a substance linked to migraines. Milder cheeses, like mozzarella and ricotta, are fine, though. Cured meats are also high in migraine-linked tyramine, but not everyone is sensitive to it, so if you know it doesn’t affect you, go ahead. If you are sensitive then stay away from cured meats and go for a more natural source such as a steak or burger. Menopause and perimenopause are when many women may first experience migraine related to fluctuating hormone levels and lack of hormone balance. However there is an exception to this rule for women who are still menstruating regularly. If the Migraine headaches tend to recur 4 to 5 days before the end of the menstrual cycle, this is called a Pre-Menstrual Migraine and is caused by rapidly dropping oestrogen levels. Dr. Uzi Reiss, in his book, “Natural Hormone Balance for Women “, advocates treating Pre-Menstrual Migraines with oestrogen and natural progesterone which stabilizes hormone levels. 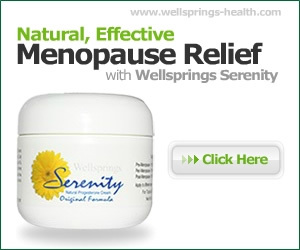 What many women find effective is to use Serenity from days 14-23 of their cycle and then 20-1 with its combined progesterone and oestrogen content from days 24-28. Dr. Broda Barnes points out that frequent Migraines can also be associated with low thyroid function. Even low blood sugar can be a causative factor as well as investigating your own personal triggers. Keeping a food diary as that is the best way to figure out what foods cause your migraines, just log down every single thing for a week or so and then look for a pattern relating to a subsequent migraine attack. Just because you eat a food right before a migraine doesn’t necessarily mean it was the cause. It’s important to see patterns and that can really only be seen over time.